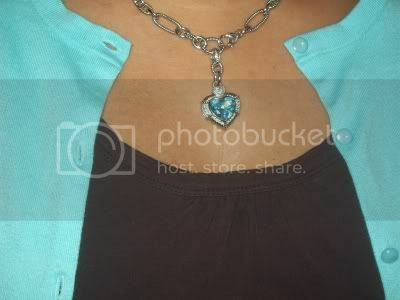 My favorite pendant - a Blue Topaz heart. This jewelry line is one of my splurges that I save my pennies for LOL. I have a few pieces from this line, and I realllly like it. That cardi gives you so much style. Brings a statement to the outfit. THanks! I love my cardigans. Wear them ahem - quite a bit. I would totally steal this outfit and wear it as-is. The necklace and cardi look so pretty!